What is the Elder Scrolls Online game? The Elder Scrolls Online is a massively multiplayer online role-playing game (MMORPG) developed by ZeniMax Online Studios and published by Bethesda Softworks. At the same time, Elder Scrolls Online game is one of the most well-known MMORPG in online video game market, after the wane of WoW. ZeniMax Online Studios and Bethesda Softworks made the game excellent in gameplay feelings and multiple platforms supported, that contributed to its glory age after its debut on Microsoft Windows (PC), OS X, PlayStation 4 (PS4), and Xbox One. Given five unique classes for players, Dargonknight, Nightblade, Templar, Warden, and Sorcerer play their important part in combat with melee, ranged, magic attacking methods that cater for different gamers. Like most of other MMO games, Gold is the major currency that you should pursue forever. 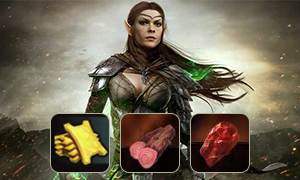 You can earn gold from quests, but to collect dungeon loots and sell weapons are much quicker. 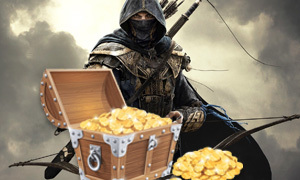 Why Buy Elder Scrolls Online Gold & Elder Scrolls Online Items from Joymmo.com platform? Joymmo.com has many years' experience in ESO Gold & ESO Items selling yield. All devices supported, no matter Microsoft Windows (PC), OS X, PlayStation 4 (PS4), or Xbox One platforms. Most important things, safe trading, instant delivery, and 24/7 Live Chat online service!